One challenge in producing our new Rick Steves Iceland guidebook (with co-author Ian Watson) was the need to be realistic about the way travelers are visiting Iceland. Detailed, day-by-day recommended itineraries are a major feature of other Rick Steves guidebooks. But most of those are for trips of two weeks. And let me guess — you’re going for two days, right? And so, in recommending the best plans for touring Iceland, we had to cast a wide net — recommending specific itineraries for anywhere from 24 hours to two weeks. The considerations below helped us shape our plans — and can help you plan your own trip to Iceland, too. Reykjavík is a great home base. While small and low-impact by European capital standards, Reykjavík is an insistently likeable place to call home for a few nights. It’s compact, walkable, and loaded with a surprising variety of dining, browsing, and nightlife options. While demand is high, more and more hotels and guest houses are opening up downtown, and Airbnb and other apartment rentals round out your options. 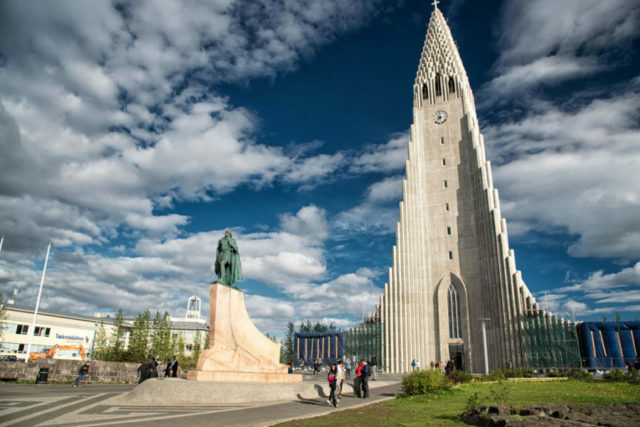 And, naturally, Reykjavík is strategically located for venturing out into the countryside, making it easy to get an enticing taste of Iceland even on a short visit. …but, if time is tight, don’t overdedicate time to the capital. If you have only one or two full days in Iceland, sleep in Reykjavík…but during the day, get out of town. 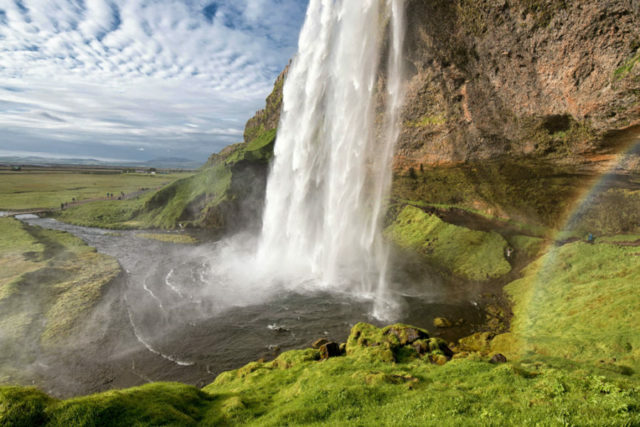 You’re here for the majesty of Icelandic nature, not to putter around the capital. I mean Reykjavík no disrespect — the city is endearing, and on a longer visit, it deserves a day or two all its own. But urban sightseeing and window-shopping for stuffed puffins is not what you came to Iceland for. You’re here to peer deep into the maw of a thundering waterfall, touch a glacier, stroll a black sand beach, and simmer in volcanically heated water. Particularly if you’re here in the summer — when daylight is almost limitless — you’ll get a plenty good look at Reykjavík at the end of each day: dinner, nightlife, and late-evening strolls under the midnight sun. In ranking Icelandic destinations for our new book, we made the bold choice to give our highest rating — the coveted “three pyramids” — only to the Blue Lagoon, the Golden Circle, and the South Coast, while Reykjavík got only two pyramids. Our readers trust us for our hard opinions, not our diplomacy. Sorry, not sorry. For a more authentic Icelandic experience, consider sleeping in the ‘burbs. With the recent spike in tourism, downtown Reykjavík is starting to feel like an Icelandic theme park. 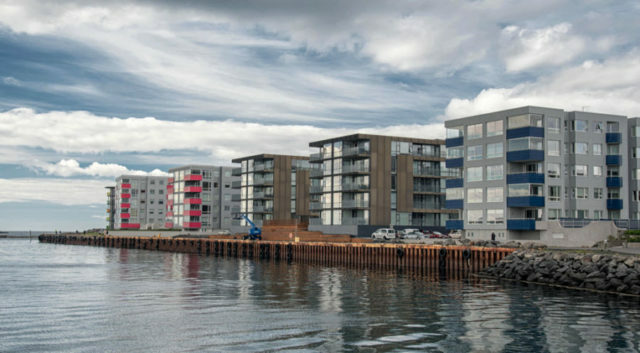 The co-author of our Rick Steves Iceland book, Ian Watson — who lived in suburban Reykjavík for years — endorses the alternative of sleeping outside of the city center, where prices are lower and your neighbors are more likely to be Icelanders. Reykjavík is small and car-friendly, so it’s an easy drive into downtown. And if you’ll be side-tripping into the countryside, it’s efficient to stay in a suburb (like Hafnarfjörður) that’s closer to the Golden Circle and South Coast routes. For the cost of a double room with a bathroom down the hall in a downtown guesthouse, you can rent an entire suburban house with easy parking. Airbnb lists plenty of solid suburban options, scattered over the entire capital region. Some of these come up if you search for “Reykjavík Area,” but it’s also worth checking under the specific suburb name: Seltjarnarnes is a swanky neighborhood at the tip of the Reykjavík peninsula, close to downtown (but less handy for hopping on the highway). Hafnarfjörður, a separate town about 30 minutes south of downtown Reykjavík, feels like its own community and offers easy access both to Reykjavík and to out-of-town sights. Kópavogur and Garðabær are modern suburbs between Reykjavík and Hafnarfjörður. And Mosfellsbær is a small, newer community north of Reykjavík. Combine the Blue Lagoon with your airport transfer. The international Keflavík Airport is about a 45-minute drive from Reykjavík. 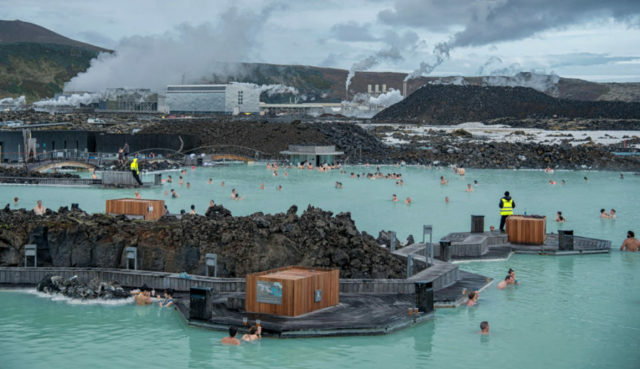 And the famous Blue Lagoon lava-rock spa is about a 10-minute drive from the airport — also a 45-minute drive from Reykjavík. 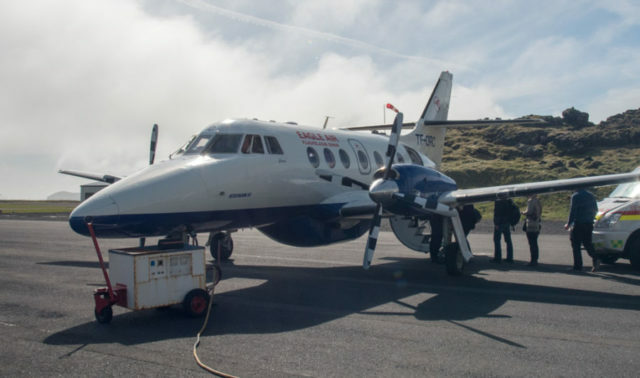 For maximum efficiency — especially on a tight “layover” timeframe — it just makes sense to combine your Blue Lagoon visit with your trip to or from the airport. If you arrive on a morning flight, recharge with a soak before heading into town. If you’re flying out later in the day, how better to prepare for a transcontinental flight than with a languid simmer in hundred-degree water? Airport-transfer services make it easy to add on a stop at the Blue Lagoon. One important caveat is that the Blue Lagoon requires reservations — so you’ll want to plan this out in advance. Prioritize your day trips. If you combine the Blue Lagoon with your arrival or departure, you’ll free up even more time for other day trips from Reykjavík. There are several good options, but the two best — different but equally good — are the Golden Circle and the South Coast. Another excellent, if lesser-known, option is the Westman Islands, just off the South Coast. 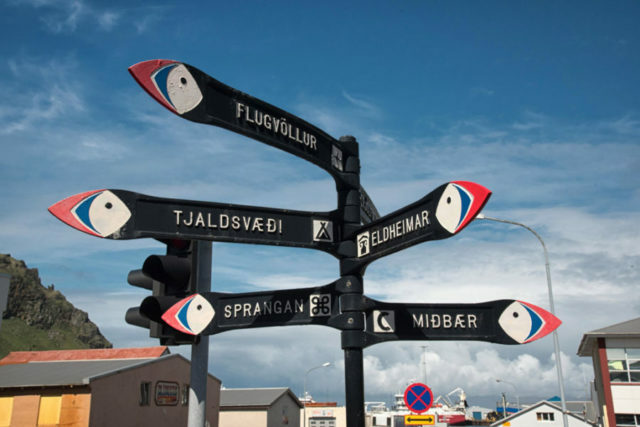 Each one of these can be easily done in a day from Reykjavík…but you’ll need to prioritize. For starters, check out my post on the 4 Best Day Trips from Reykjavík. Home-basing for a couple of nights on the South Coast opens up lots of options. If you’re in Iceland for just one, two, or three nights, stay in Reykjavík. But if you’re here for four or more nights, consider splitting your home base between Reykjavík and the South Coast. With five nights in Iceland, I’d spend three in Reykjavík (or its suburbs), and the other two in a rural farmhouse B&B on the South Coast — offering a nice variety of Icelandic accommodations. The South Coast has at least a day’s worth of sightseeing, and it’s also a good home base for visiting the delightful Westman Islands. Since the ferry to the islands can be cancelled in bad weather, this plan works well: Plan two nights on the South Coast. Then, as the date approaches, choose the better-weather of the two days for the Westman Islands, and use the other day for the South Coast sights. (For more details, see my Westman Islands post.) The South Coast also works as a home base for visiting the dramatic hiking area called the “Valley of Thor” (Þórsmörk), or for doing the Golden Circle loop (or you can do the Golden Circle route on your way from the South Coast back to Reykjavík). If you’re thinking of doing “part of” the Ring Road…just get real, and commit to doing all of it. 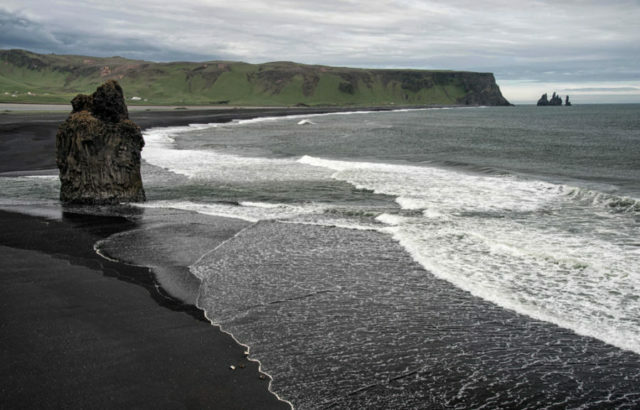 Highway 1 — the Ring Road — makes an 800-mile loop around the perimeter of Iceland, connecting virtually everything a visitor might want to see on a visit of up to two weeks. However, there are no shortcuts across the middle of Iceland — which is covered by rugged Highlands, impassable glaciers, and gravelly roads requiring four-wheel drive and serious intestinal fortitude. Therefore, if you’re flirting with doing “part” of the Ring Road, you might as well commit to doing all of it. Once you get about a third of the way around (i.e., Mývatn), continuing the rest of the way is only a little more time-consuming than backtracking the way you came to Reykjavík — and rewards you with entirely different scenery. The Ring Road can be done in as little as five or six days; a week is ideal. If you have less than that, skip it. For all the details, see my Ring Road post. To efficiently max out on different Icelandic experiences, consider domestic flights. There’s one caveat to the Ring Road Rule, above. If you’d like a peek at the breathtaking Mývatn area, but don’t have time for the seven-hour drive each way, consider booking a same-day or next-day round-trip flight between Reykjavík and Akureyri (a 90-minute drive from Mývatn) on Air Iceland Connect. Another wonderful corner of Iceland, the Westman Islands, can be done most days as an easy side-trip from Reykjavík on Eagle Air. The planes are tiny (there’s no security check, baggage allowances are limited, and strong winds can interrupt flights). But, on the upside, most of these flights use Reykjavík’s tiny domestic airport, which is a long walk or very short drive from downtown. The Northern Lights are amazing…but the midnight sun is even better. Some travelers go to Iceland in the winter specifically to see the Northern Lights. And that’s understandable: If you get lucky, that’s a lightshow worth traveling long distances for. But on the whole, winter comes with more downsides than upsides. Daylight is incredibly brief (in December, the sun rises a little before 11:30 and sets just after 3:00), and icy roads can make out-of-city sightseeing treacherous. And, if it’s cloudy or conditions are imperfect, there’s no guarantee you’ll even see those elusive dancing lights. Meanwhile, summertime is mightily appealing — particularly for those trying to pack the maximum Icelandic experience into a short visit. The sun technically sets for a few hours, but it never really gets dark — allowing intrepid, energetic visitors to maximize their time in Iceland to a remarkable degree. (The photo above was taken at 11:30 p.m. in early June.) 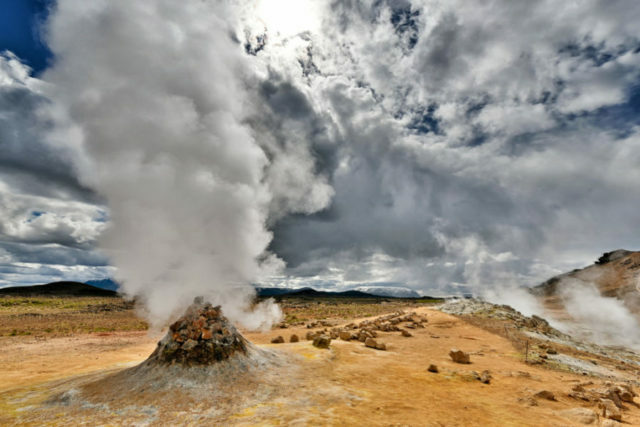 If you have just 24 hours in Iceland — and can get by with very little sleep — you could arrive in the morning, soak at the Blue Lagoon, have lunch and browse Reykjavík in the early afternoon, then hop in a car and drive the 150-mile Golden Circle loop in the evening, all in broad daylight…before collapsing back at your Reykjavík hotel around midnight, catching a few hours of sleep, and flying out. That isn’t remotely possible in winter. 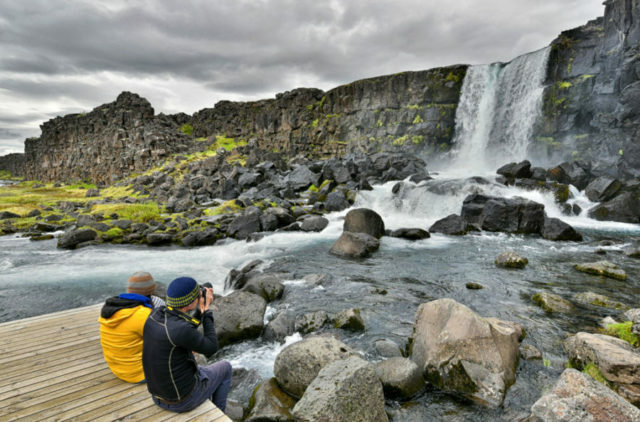 Armed with these tips, even a first-time visitor can plan an Iceland trip with the savvy of a pro. But don’t forget maybe the most important tip of all: If you like what you see, you can always go back to Iceland again later.